Date of Construction circa 1910 AD. 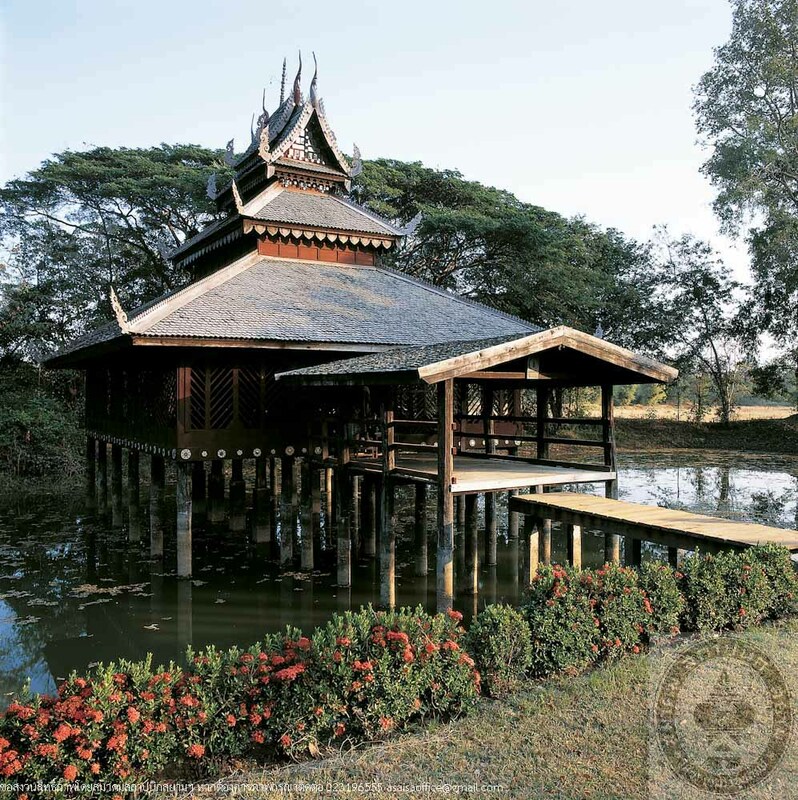 Wat Sa Trainurak was originally called “Wat Na Wiang”. It is a temple of Mahanikaya sect founded in 1907 AD. 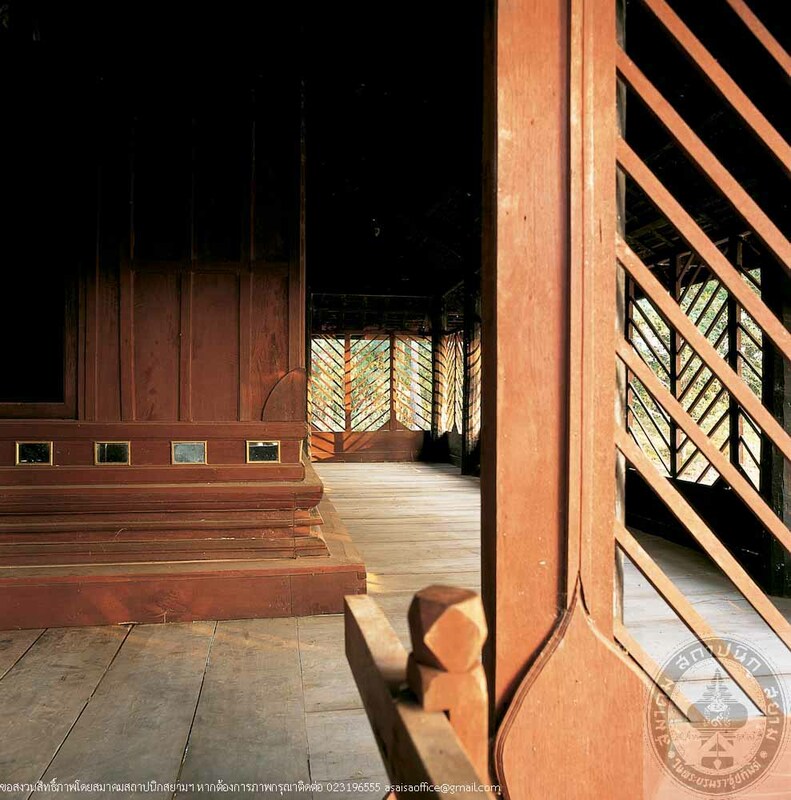 by Than Chao Cha, a highly learned monk who immigrated from Vientien with a group of Laos people. 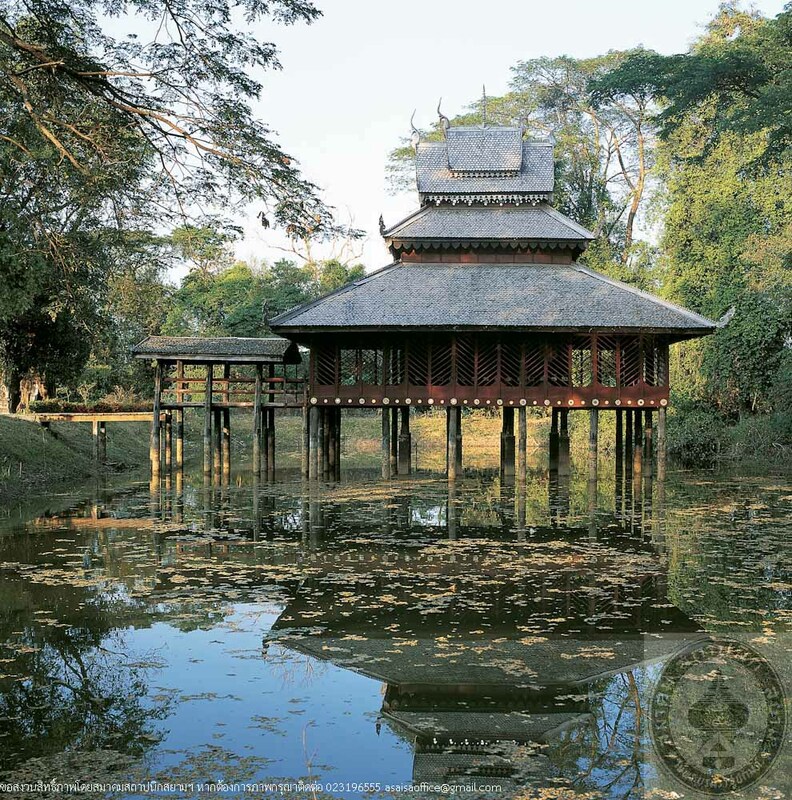 They chose to settle at this village and Than Chao Cha had built a temple along with a pond, in which a Ho Trai, or Scriptures hall was built for keeping the Buddhist scriptures that he brought from Laos. Ho Trai, thus, stands in the middle of the pond, facing west. 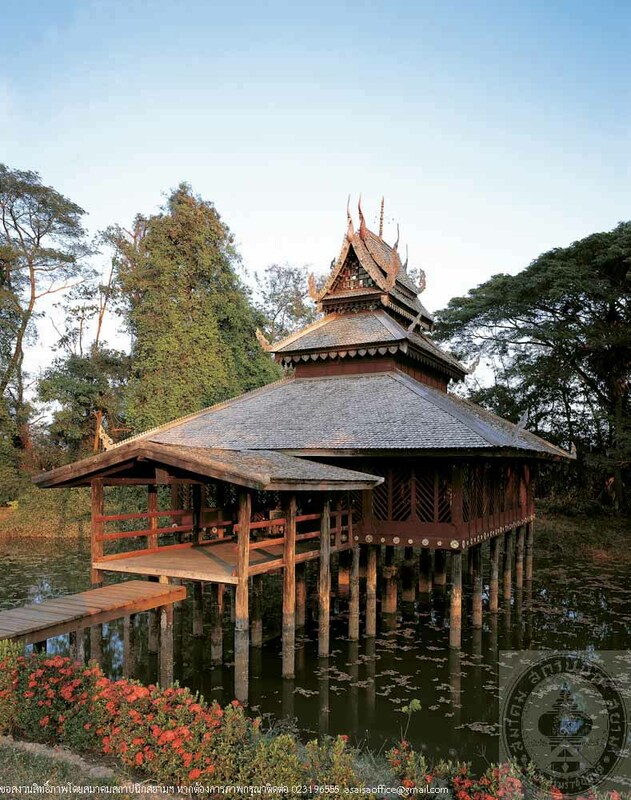 It is built entirely of wood in Lan Chang architectural style. The scale is rather large with the width of 8.30 metres, height of 10.50 metres and 4 tires of roof. 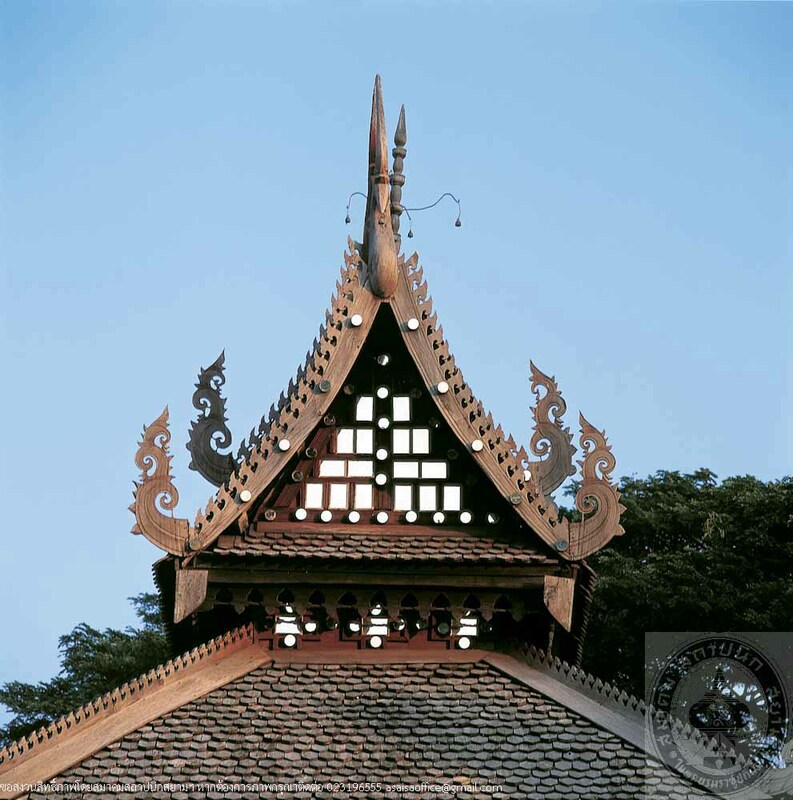 The upper 2 tiers are gable roofs decorated with ornament in Lan Chang (Laos) style, and the 2 lower tires are hipped roofs. The hall is decorated with woodcarvings and coloured glass mosaics. It has been continuously maintained and registered as a National Monument sicne 28th June, 1990.